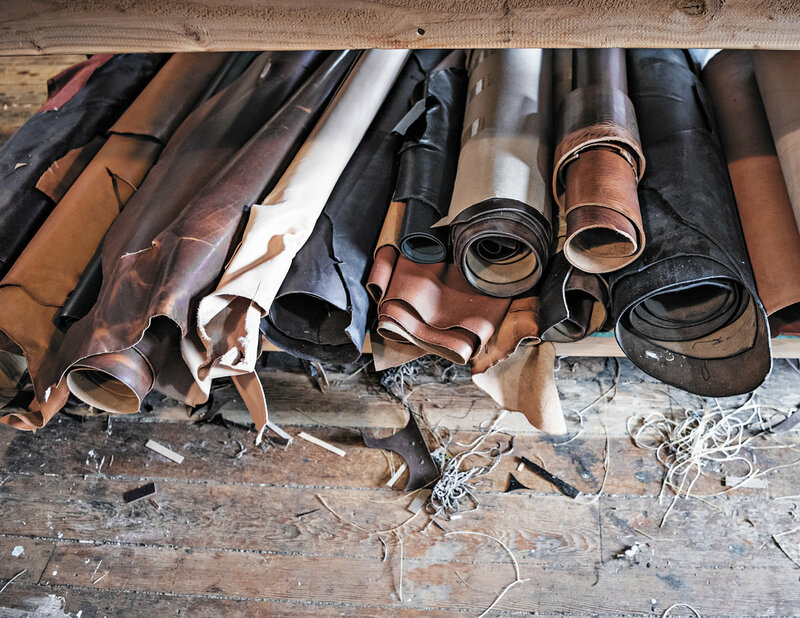 “Leather, like whiskey, improves with age,” said Daniel Earnest. 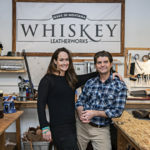 He’s the co-owner of Whiskey Leatherworks alongside his wife Allyson and together they have forged a business that puts family and quality first. 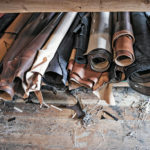 Before long, friends and family started requesting that Daniel make them leather belts, causing Daniel to expand his hobby to the garage. 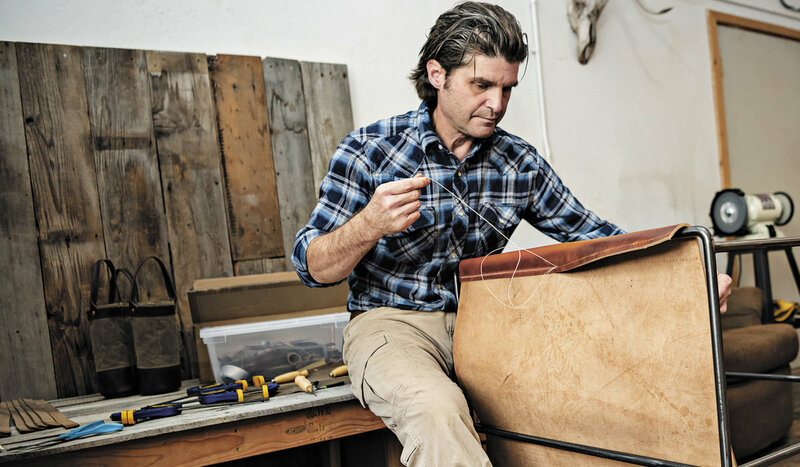 Once he had adequate workspace, he channeled his creativity through leather-working on a regular basis, and inadvertently began a new venture entirely. 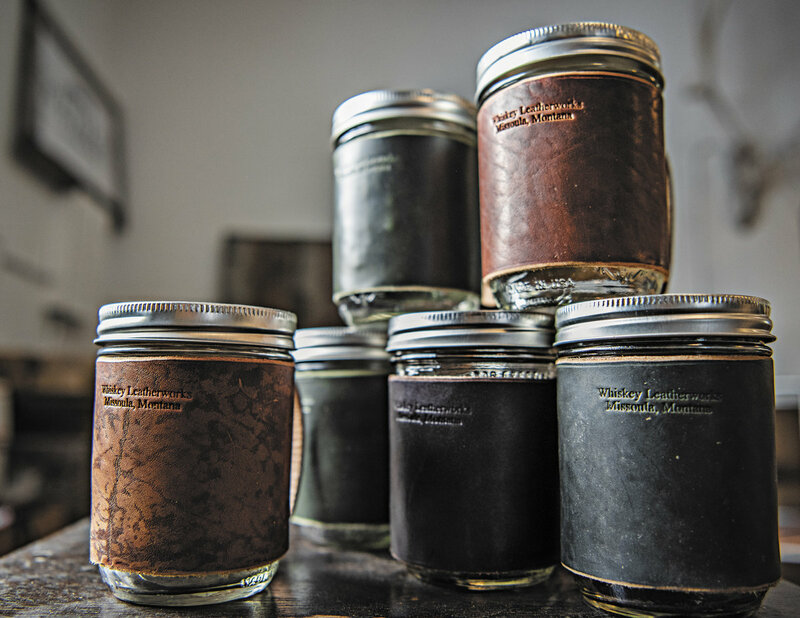 Finding American-made materials to create an all-American product was first on the list of priorities. 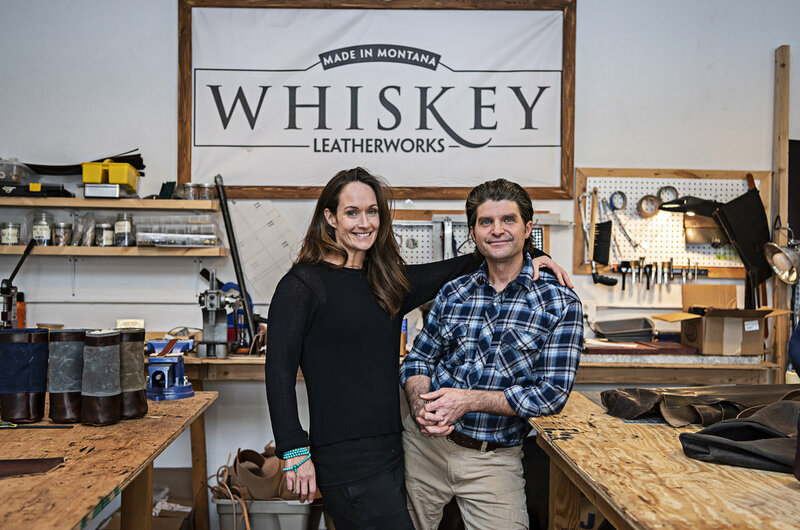 If he was to begin creating leather products for purchase in Missoula, he wanted them to reflect things that this community treasures—timeless and true, not trendy. 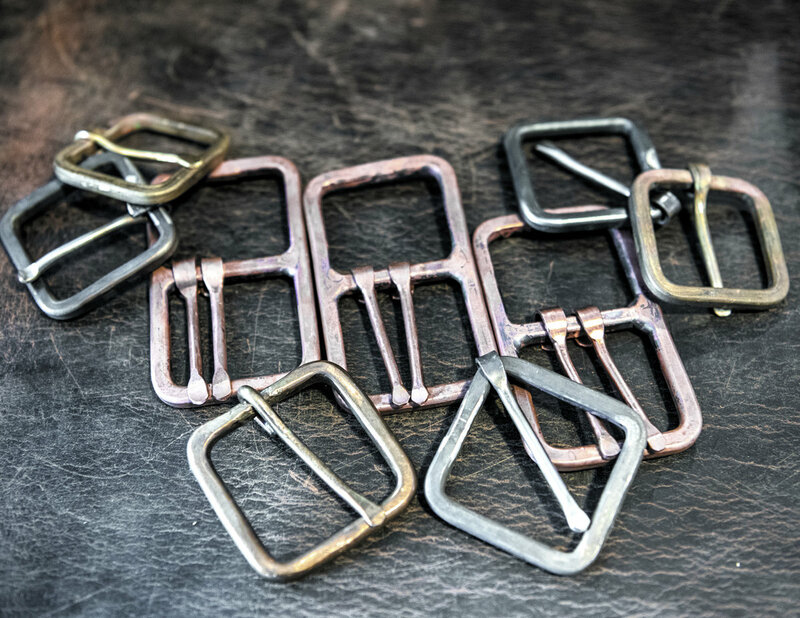 Searching for a metalsmith for buckles gave Daniel the opportunity to collaborate with another artist. 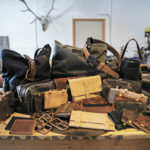 Finding waxed canvas and a leather tannery in Chicago helped propel Daniel and Allyson’s small business into a successful worldwide direct sales marketplace, allowing Daniel to quit his job as an environmental consultant and spend more time with his family. With Allyson’s marketing skills, this family business is a sustainable, thriving, full-time job with four employees, a shop, and above all, a way of sharing life together. 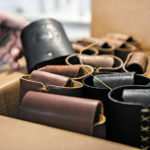 “Taking leather crafting from hobby to a sustainable business has been the best thing for our daughters. Our girls—Ella, who is 13 and Margaux, who is 11—are very involved in all aspects of the business,” said Allyson. “We’re together all the time. 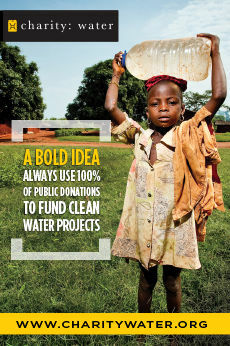 The freedom is priceless,” added Daniel. 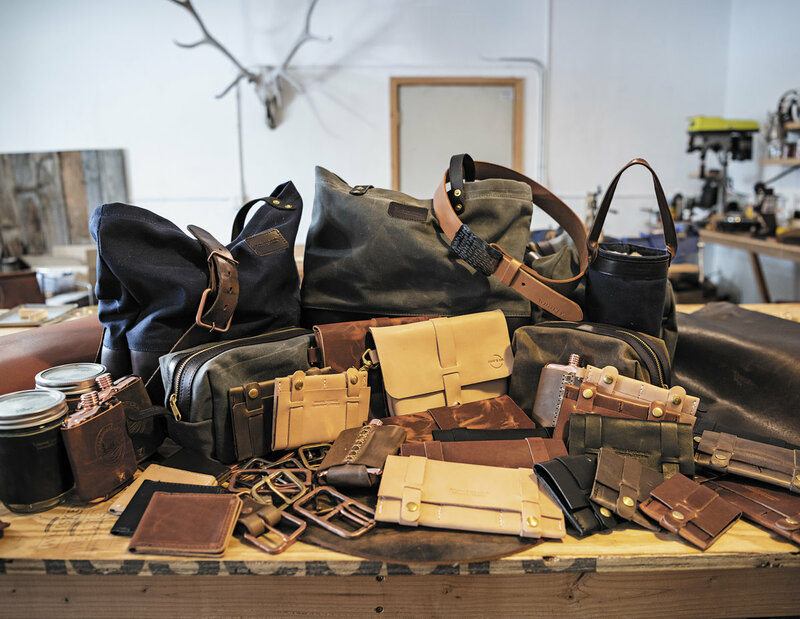 Leather totes, flask covers, and brightly colored fishing belts are just a few of the beautiful goods crafted at Whiskey Leatherworks. 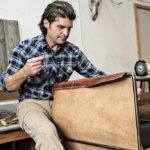 Made in Montana, USA sourced materials, and the skilled hands of artisan Daniel Earnest are a successful combination. 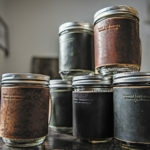 Companies like Starbucks have taken notice and are giving repeat orders to Whiskey Leatherworks. “Our standard of care and attention remains the same. 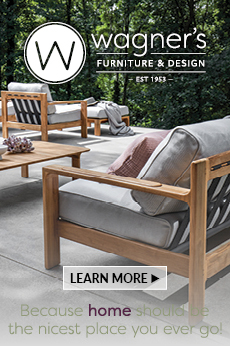 We are steadfastly committed to functionality, durability, and elegance in each piece that leaves our shop,” said Allyson. “The enthusiasm shown by Allyson and our girls is what makes this business so satisfying,” said Daniel. 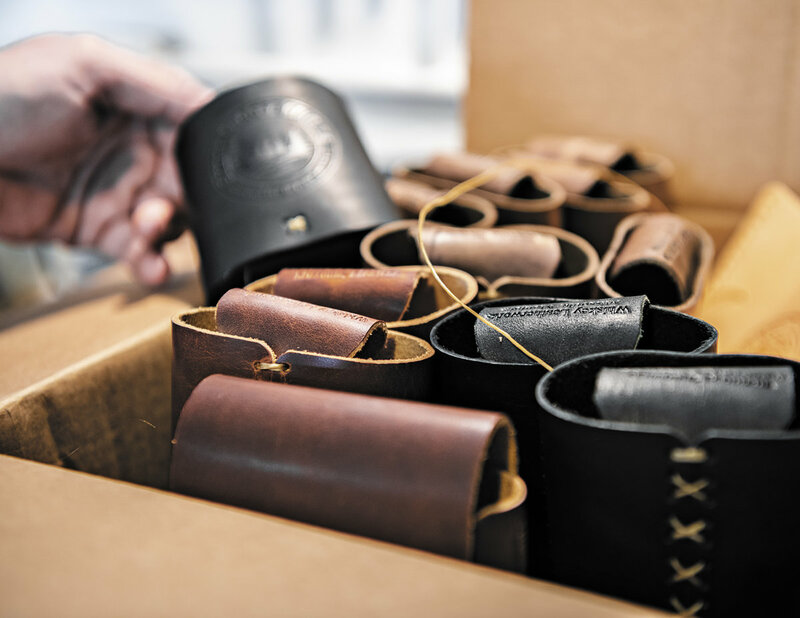 “It’s fun to see Ella and Margaux throw a couple of our leather totes over their shoulders and work the crowds at one of our craft shows. 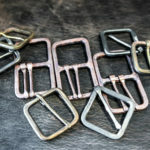 They love to sell these things they’ve invested their time in creating,” said Daniel. “And they love their paychecks too,” said Allyson, with a laugh.